Hudson Street's long-suffering Skylofts building has come out on top, selling its two-story glass box penthouse for $30 million -- a record for a downtown apartment, the Times reports. 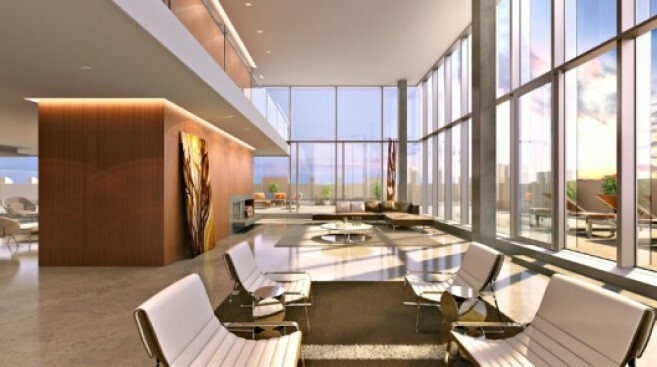 This is, of course, the second version of the Skylofts' penthouse. The first had to be trimmed down when the Landmarks Preservation Commission ruled it was built bigger than permits allowed. The developers couldn't get a certificate of occupancy for the converted loft building while construction continued on the roof, putting angered buyers in a holding pattern for years. The ultimate teardown was listed at $34.5 million and went into contract in September. Had it sold at the full ask, it would have broken the record for most expensive downtown residence, topping the townhouse at 11 West 10th Street. The buyer hasn't been named, but the person is a Tribeca local who is "not an investment banker or the manager of a hedge fund." Phew! If it's a recession-proof celebrity, at least we can avoid the ultimate foreclosure.